Marketing agencies occupy a uniquely important position in any company's business strategy. As an agency, your job first and foremost is to communicate the value proposition of your clients, so that their customers will feel confident in their buying decisions. By making it much easier for customers to purchase goods and services, e-commerce platforms are one of the most important ways that companies have to interact with their audience. Despite the many benefits of having an e-commerce website, however, few marketing agencies have the kind of technical chops that are required to build such a website from the ground up. This presents a challenge for clients of marketing agencies who want to add e-commerce functionality to their existing website. Without a dedicated web development team, you have a few options if a client approaches you about an e-commerce solution. First, you can decline the request and risk the client looking elsewhere. Second, you can try to create a basic solution using a pre-built e-commerce platform, such as Magento or Shopify, that's not well-integrated with the rest of the client's website. Fortunately, there's also a third option: partnering with a custom software development firm who can build an e-commerce solution for your clients. By offering this additional functionality to your clients, you can improve your relationships, increase your value as a service provider, and become a "one-stop shop" for all your clients' needs. What are Your Options for E-Commerce Websites? 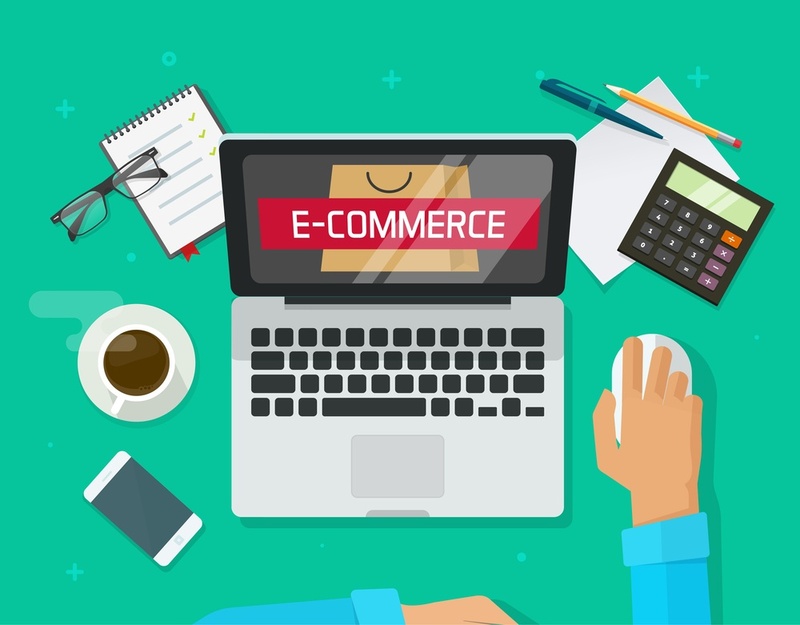 You have essentially two options when it comes to providing e-commerce websites for your clients: either an out-of-the-box or a custom-built solution. As is so often the case, the right answer will depend on who's asking the question. Below, you'll find some of the most important considerations. When Should You Use an Out-of-the-Box E-Commerce Solution? Companies choose out-of-the-box e-commerce solutions for many reasons—but whether they're the right reasons is another matter. In general, you should feel confident helping your clients with an out-of-the-box solution under two conditions: you already have in-house expertise on the solution, and you're certain that the solution meets all of their requirements. If either of these isn't true for your situation, then looking for a custom development partner is likely the wiser decision. When Should You Use a Custom E-Commerce Solution? The reasons that companies opt to use a custom e-commerce solution are as diverse as the e-commerce websites themselves. The following list goes through some of the most common reasons to use a custom e-commerce website. If your client has business needs that meet any of these criteria, then you should seriously consider a custom-built solution. Customizable products: Buyers can make significant changes to products in terms of features such as size, color, graphics, fonts, engravings, and so on. Unique shipping needs: Customers want to have the choice of multiple carriers, or items need special care or refrigeration during shipping. Special promotions: Coupons and promo codes have complicated logic about when shoppers can use them. Software integrations: The e-commerce website needs to integrate with other back-end systems, such as applications for order entry and invoicing. Growth and scalability: You feel that you've hit the limits of your out-of-the-box solution and want to build great features for your customers. As a marketing agency, your special competency is knowing how to drive people to your clients and turn potential customers into real buyers. The technical details of building an e-commerce website, on the other hand, likely aren't in your wheelhouse—nor should they be, lest you spread yourself too thin. Custom software development companies can fill in this gap between your clients' desires and your own skill set. These companies have teams of people with extensive knowledge about building websites with multiple languages and platforms. Much of web development can only be learned through experience. Trying to replicate the depth and breadth of a custom development team in-house won't only take a good deal of time, it's also not cost-effective and will distract you from your core mission. When selecting a development partner, your most important criteria should be clear communication and previous experience with companies like your own. Accomplished development companies such as SYDCON have helped to build dozens or hundreds of e-commerce websites across a variety of industries and products, from the simple to the highly complex. Ask potential partners about past sites that they've worked on. Are they familiar with a particular tool or programming language that you want to use? Marketing agencies are sometimes leery of working with custom development companies out of the fear that they'll lose business. On the whole, however, these fears are unfounded. Just as you likely don't have a solid team of programmers on staff, development companies don't have designers or copywriters who would cause a conflict of interest. Still, it's advisable that you talk about the terms of the partnership in order to avoid duplication of efforts. Remember that it's in both parties' interest for the e-commerce platform to be successful, and not to step on each others' toes. After all, if you're happy with the development team's work, you'll likely return in the future with other clients, bringing in more business. When you partner with a custom software development firm, you can greatly expand your offerings as a marketing agency. In so doing, you'll be able to reach more clients and increase your value as a service provider.